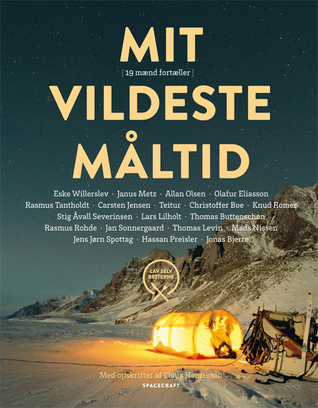 Eske Willerslev Rasmus Tantholdt Janus Metz Lars Lilholt Allan Olsen Olafur Eliasson Carsten Jensen Teitur - Eske Willerslev (born 5 June 1971) is a Danish evolutionary geneticist notable for his pioneering work in molecular anthropology, palaeontology, and ecology. He currently holds the Prince Philip Professorship in Ecology and Evolution at University of Cambridge, UK and the Lundbeck Foundation Professorship in Evolution at Copenhagen University, Denmark. He is director of the Centre of Excellence in GeoGenetics, a research associate at the Wellcome Trust Sanger Institute, and a Professorial Fellow at St John's College, Cambridge. He is the son of historian Richard Willerslev and twin brother of anthropologist Rane Willerslev.Before becoming a scientist Willerslev led several expeditions in Siberia in the early 1990s with his twin brother, anthropologist Rane Willerslev collecting ethnographic materials and megafauna skeleton remains that are stored at Moesgaard Museum in Denmark (the largest Siberian ethnographical collection in Denmark). Willerslev also lived as a fur trapper in the Sakha (Yakutia) Republic from 1993–94. Willerslev handed in his PhD thesis as a doctor thesis and obtained his DSc at Copenhagen University in 2004. He moved to Oxford University as an independent Wellcome Trust Fellow, and became full professor at Copenhagen University at the age of 33. In 2015 Willerslev took up the Prince Philip Chair in Ecology and Evolution at the Department of Zoology at University of Cambridge. Willerslev is a Foreign Associate Member of The National Academy of Sciences (USA), elected member of the Royal Danish Academy of Sciences and Letters, and Honorary Doctor at University of Oslo. He has been a visiting professor at Oxford University, UK, and a Visiting Miller Professor at UC Berkeley. In 2014, he became an adopted member of the Crow Tribe in Montana (Apsaalooke), where he carries the name ChiitdeeXia’ssee (Well Known Scout).He has received several awards including the Antiquity Prize for the best paper in the journal Antiquity in 2009, the Danish Independent Research Council's Major EliteForsk Prize, the Rosenkjær Award and the Genius Award (Geniusprisen) of Danish Science journalists for "an impressive array of research successes in the public eye, combined with a unique tour-de-force through university".